Yes, I know your form says 32.95 and 62.95,but the extra nickel helps pay for the stamps and envelopes and I like round numbers. Once you have subscription through RCA then next year you can renew online directly at Sky & Telescope providing you are still a member of RCA. You can also check the status of your subscription here. Payment must be processed through the Club. We do not take Credit Cards at the RCA meeting. We only take checks if using the mail. Check the Pricing Guide for total costs if ordering more than one magazine. Make check out to Rose City Astronomers and bring to the RCA meeting or Mail to the Treasurer. Fill out Printable Order Form. Make check out to Rose City Astronomers and bring to the RCA meeting or Mail to the Treasurer. 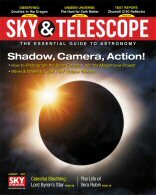 Our contracts with Sky & Telescope and Astronomy Magazines provides discounts for paid up RCA members only. We do the paperwork and you save the money. We send each of them one check from our treasury and one page with all the information. A lot less work for them, and great savings for you. Please be aware that I send in the orders once a month at the end of the week of the monthly RCA meeting. Because the Magazine publishers outsource the processing of the orders and printing of the mailing labels, it takes 2 months before you will get your magazine as it takes them 1-2 weeks to process the order, then they print the labels about 4 weeks in advance of the mailing, then they mail the magazines 5 weeks before the beginning of the month that the issue is for. i.e. 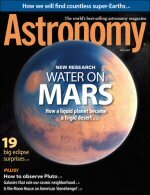 In late January you would receive the March issue. So if you subscribe in January you would receive the May issue in late March. See: When do I get my magazine? for more details.